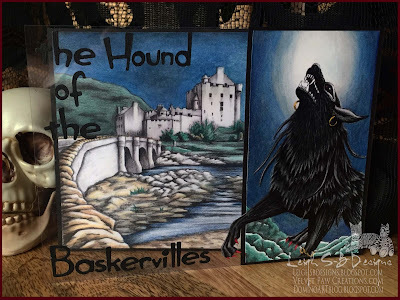 Velvet Paw Creations: "The Hound of the Baskervilles" a Delicious Doodles DT card! "The Hound of the Baskervilles" a Delicious Doodles DT card! YAY! It's October and the countdown to Halloween is underway mwahahahaha! 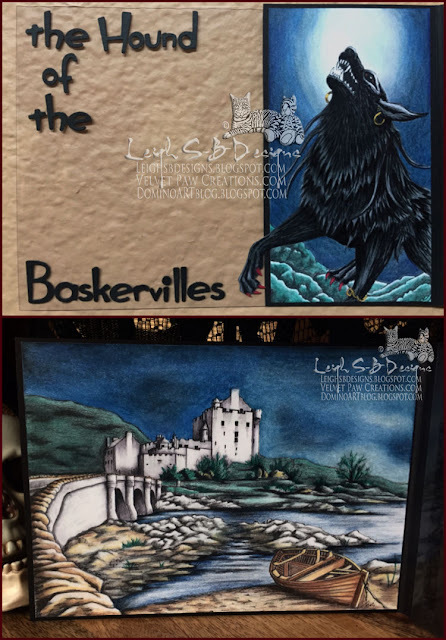 This month over at Delicious Doodles it's spooky and dark and our October theme is Halloween! 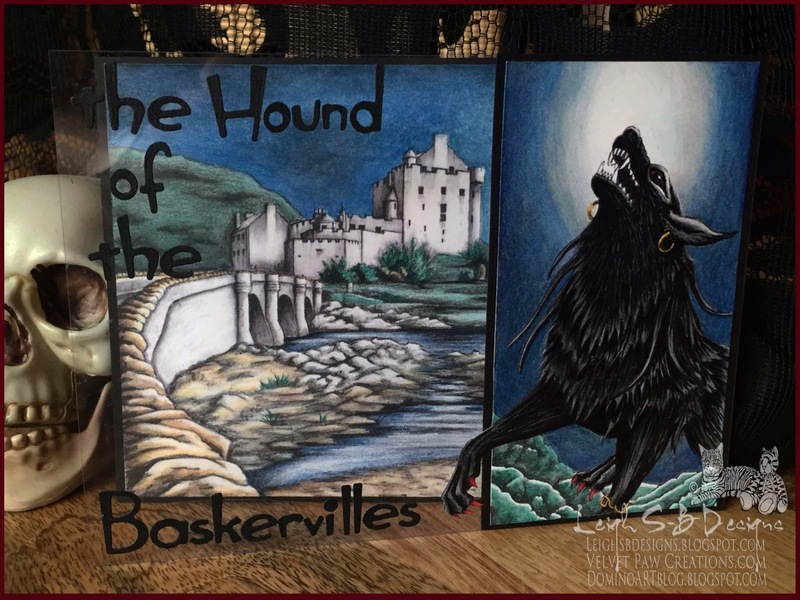 I went retro horror with my DT project and created an acetate card with The classic Sherlock Holmes tale, The Hound of the Baskervilles. I sized and merged the digis in Photoshop CS6 before printing them all out onto Neenah solar white cardstock. 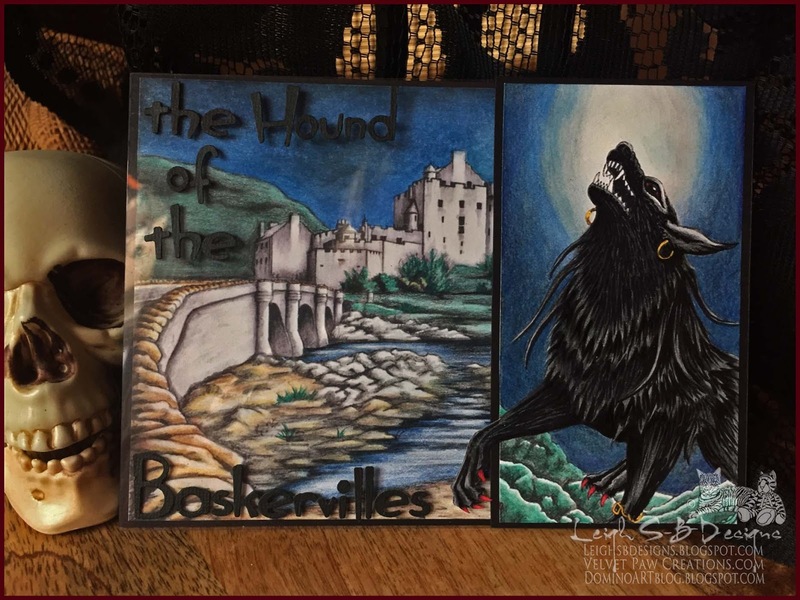 I mainly coloured everything with Prismacolor pencils but Copic markers on the castle, the stonework and the hound as well. The panels were trimmed and layered onto black cardstock folded in an asymmetrical layout. I keep a lot of stuff for recycling and upcycling...I might have a little hoarder issue going on but what artist doesn't right LOL ;0) Anyway, the acetate is actually a piece cut from an embossing folder's packaging and I adhered the acetate to the inside of the front flap and then adhered the Sizzix Hunky Dory die cut letters to the front. 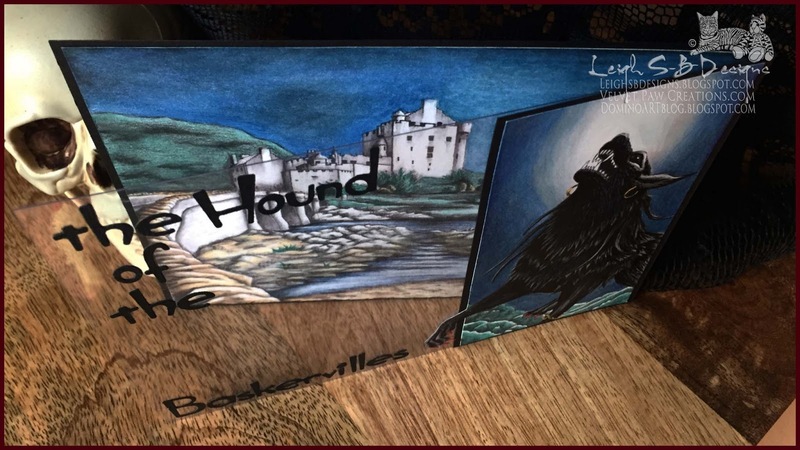 Here's a better look at the cover and inside of the card.